Our own special blend of roasted coffee comprising a selection of the finest South American Arabicas. A full bodied richly acidic, yet well balanced coffee. Medium bodied with a rich acidity. An emphatic coffee with resonance. Full bodied and richly acidic. Gently rich and medium bodied. The famous blue mountain coffee, a rare and exclusive original. Full bean coffee with a slightly nutty flavour. Giant beans that have a lovely smooth and strong flavour. A smooth yet strong coffee. A well balanced coffee with rich chocolate tones. A medium bodied yet sweet coffee. Brisk acidity with a delicate flavour, coupled with the dark roast to make an excellent espresso. A rounded and full bodied coffee, richly understated with light acidity. Deep, full-bodied and full of character. An exquisite coffee that surpasses the more common santos. A kenya coffee with the a chocolatey flavour, due to Blue Mountain strain. 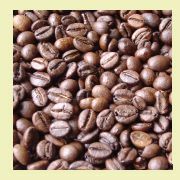 A coffee blended from southern and central american regions, roasted in an italian style. A coffee roasted from South American Origins, with a slightly fruity taste. Ideal for cappuccino and latte's. African based espresso roast with complex full bodied taste. A clean, Balanced and sweet coffee. 250g of this rich and full bodied coffee. Swiss water treated to remove caffeine, with out the use of chemicals. 250g of this rich and smooth full bodied coffee.